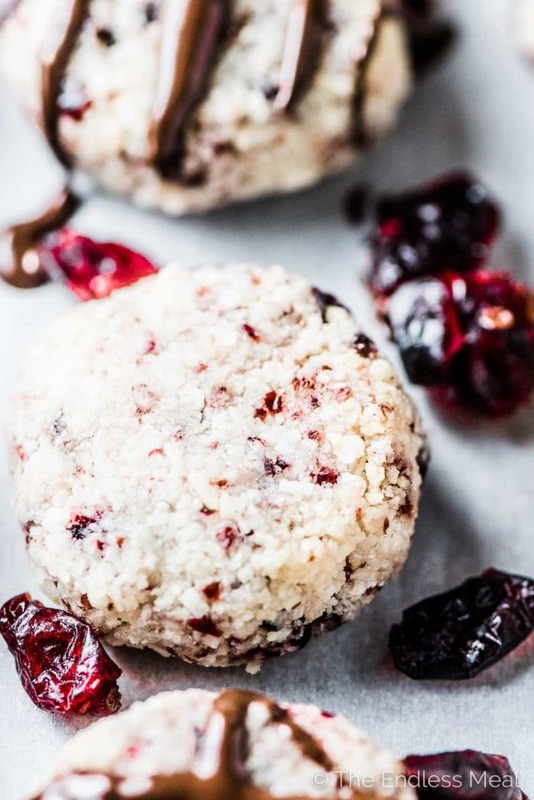 Cranberry Coconut Macaroons are soft and delicious Christmas cookies. 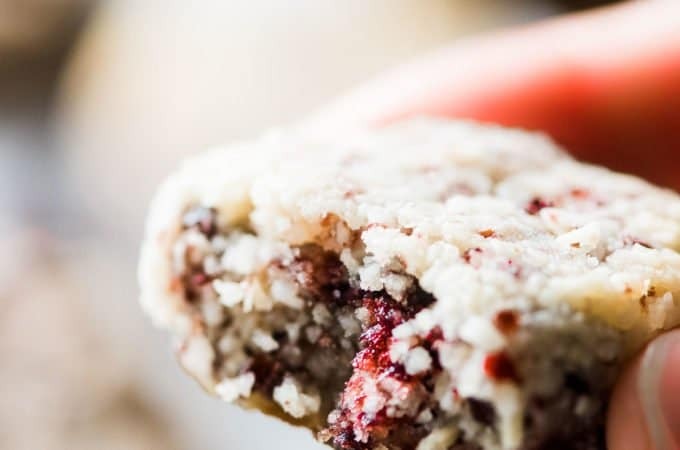 They're perfectly sweet and have just the right hint of tartness from the cranberries. A drizzle of chocolate makes them extra special. No one will guess they are healthy cookies! Hello, Christmas cookie season. Do you just love getting a month-long get out of jail free card to eat all the cookies all the time? Except that when I do go cookie overboard (and trust me, I do) I end up feeling pretty rotten. Are you the same? That's why I thought I would make us some healthy Christmas cookies. But don't worry, these aren't healthy in the way that's weird. If you give these to friends and not mention that they're healthy, they'll NEVER know. 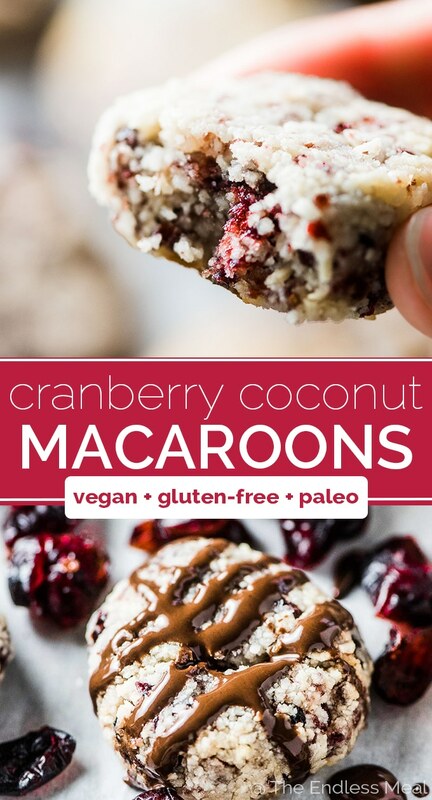 I've done enough cranberry coconut macaroon sampling and sharing to know that it's 100% true. Coconut. Because coconut cookies are the best. 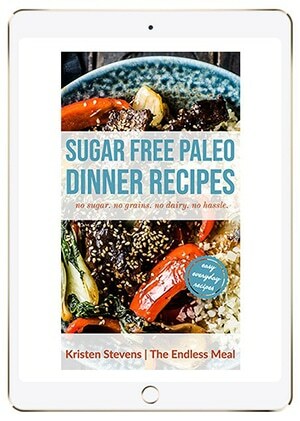 Nice and sweet and totally refined sugar-free. A little touch of tartness from the cranberries which is just. so. good. Totally on point holiday color. Super easy to make. 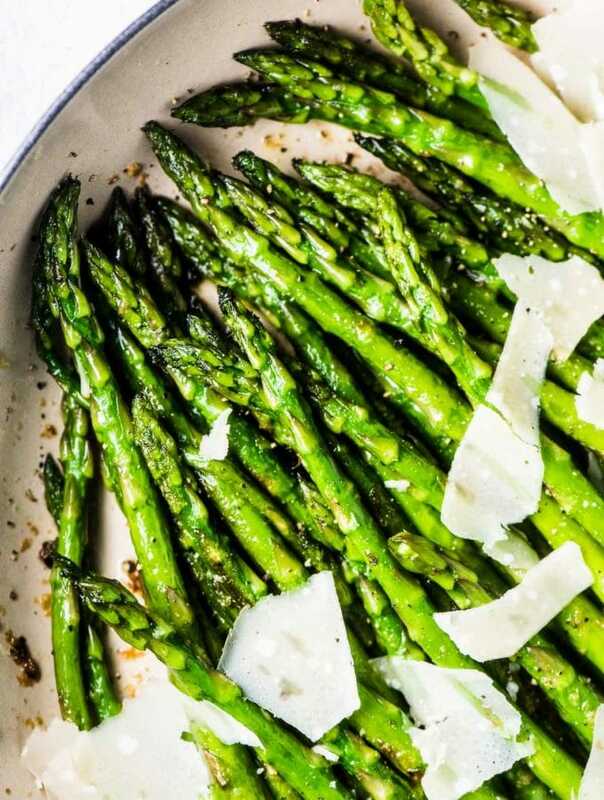 Whip up a batch in 20 minutes flat! 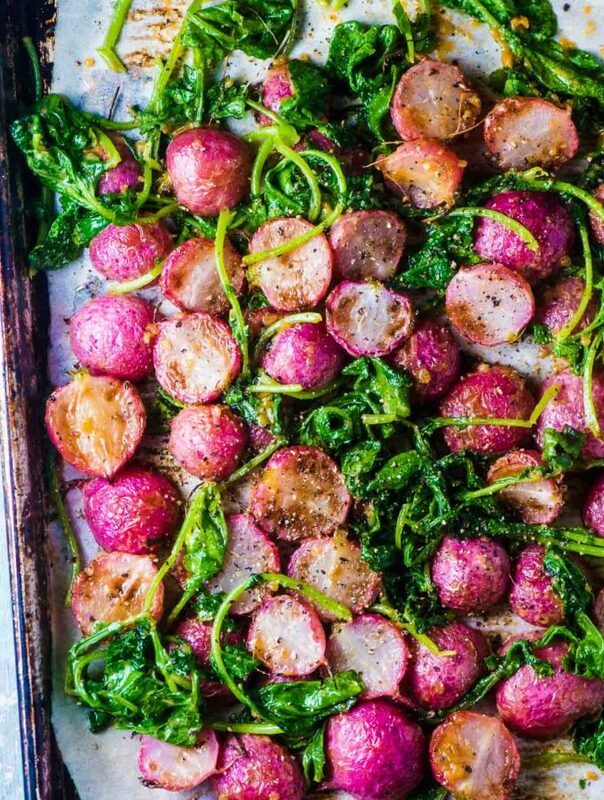 4 little ingredients and you probably have them all in your pantry right now. This time of year is all about cranberries. A package of dried cranberries will sit in my pantry for 11 months and then disappear in the few weeks before Christmas. Sidebar → It's less than a month until the big day!! 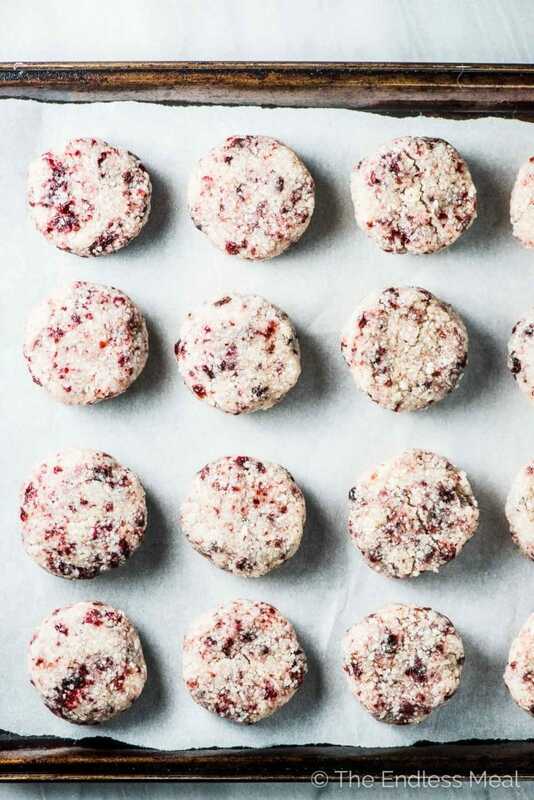 These cranberry coconut cookies couldn't be any easier to make. Put the 4 ingredients into your food processor and pulse until a dough forms. 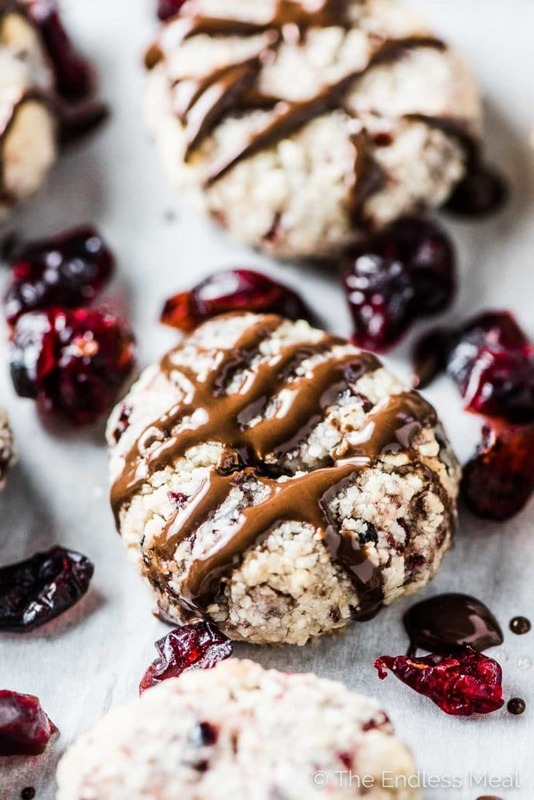 Scoop into balls then flatten them into cookies. You can add an extra step and drizzle them with chocolate if you'd like. We were divided about whether the plain or chocolate versions were best. I like the plain one but my handsome man and daughter liked the chocolate drizzled ones best. 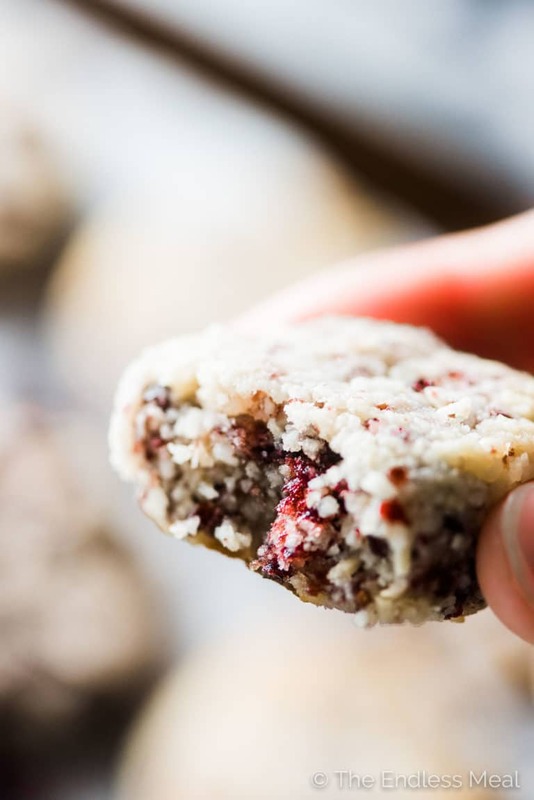 If keeping these cookies paleo or vegan isn't a priority for you, try drizzling them with white chocolate. I've made these 2 different ways, cause that's how much I love you guys. The version with honey is definitely easier to work with. The dough sticks together and the cookies are firm enough that they don't fall apart when you're eating them. The version with maple syrup is a little different. Taste-wise they're the same. But they are more challenging to form into cookies as they don't have the sticking power that the honey version has. They're also more likely to crumble when you eat them. Don't let that dissuade you from making the vegan version if you don't eat honey. They are just as delicious. Just know that you'll need a gentle hand and a little more patience when making them. 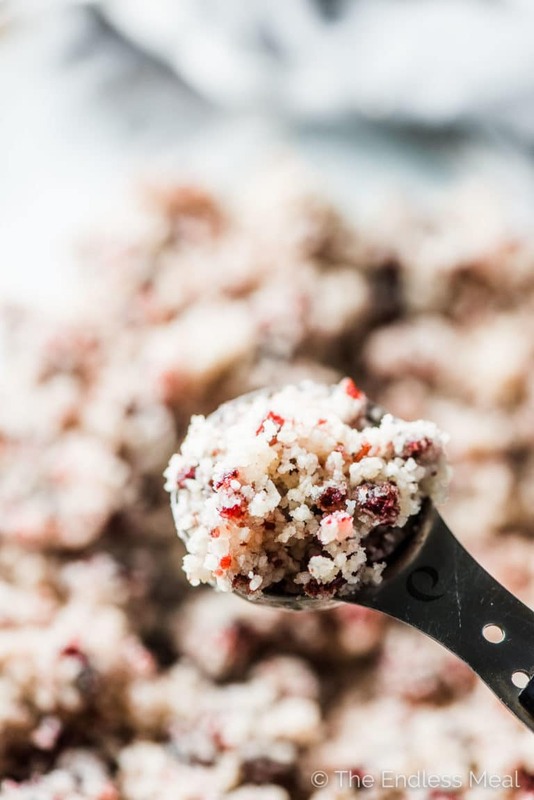 Add the coconut, cranberries, coconut oil, and honey or maple syrup to your food processor and pulse until it starts to stick together. Scoop a generous tablespoonful, form into a cookie shape, then place the cookie on the baking sheet. Make 16 cookies. Bake the cookies for 10 minutes then cool completely before removing them from the baking sheet. 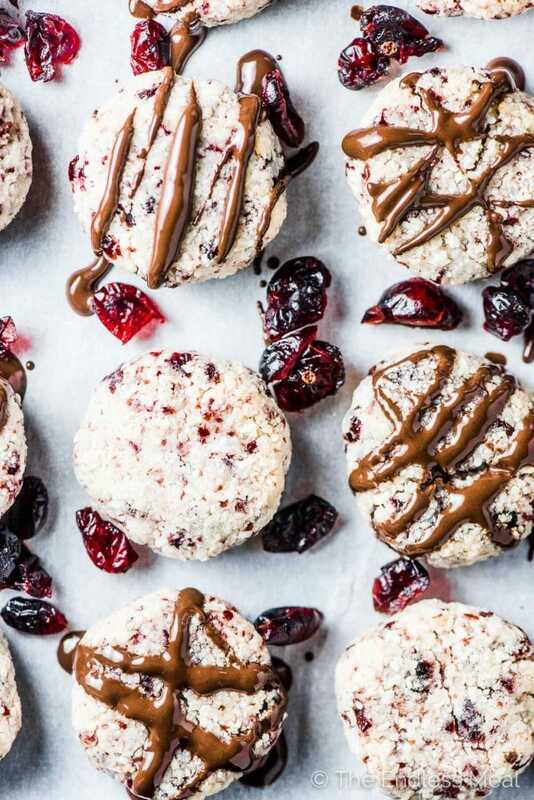 Melt the chocolate in a double-boiler or microwave then drizzle a little over the cookies. Only use maple syrup if you don't eat honey. Maple syrup works but makes the cookies much more delicate.